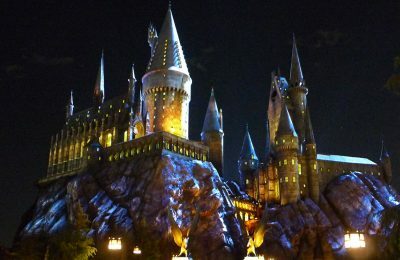 This year Behind the Thrills had the great pleasure of being invited to a very special event at Universal Studios Hollywood. 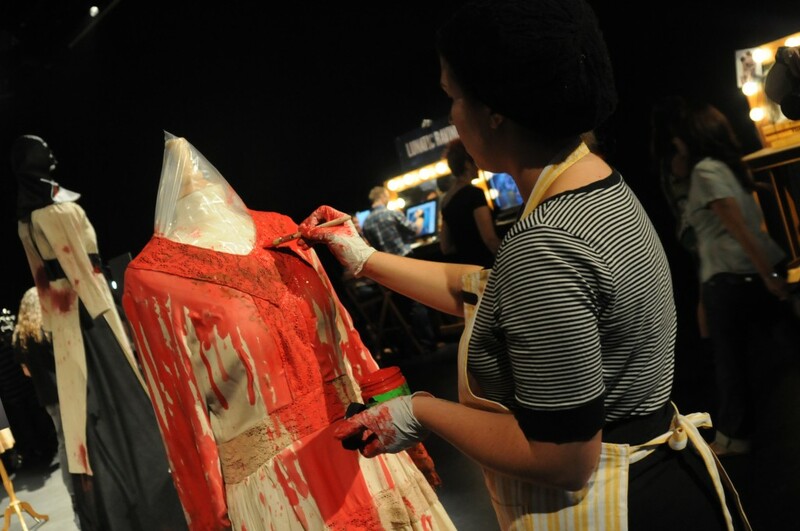 The event highlighted the use of make-up and wardrobe taking place at this years Horror Nights event. 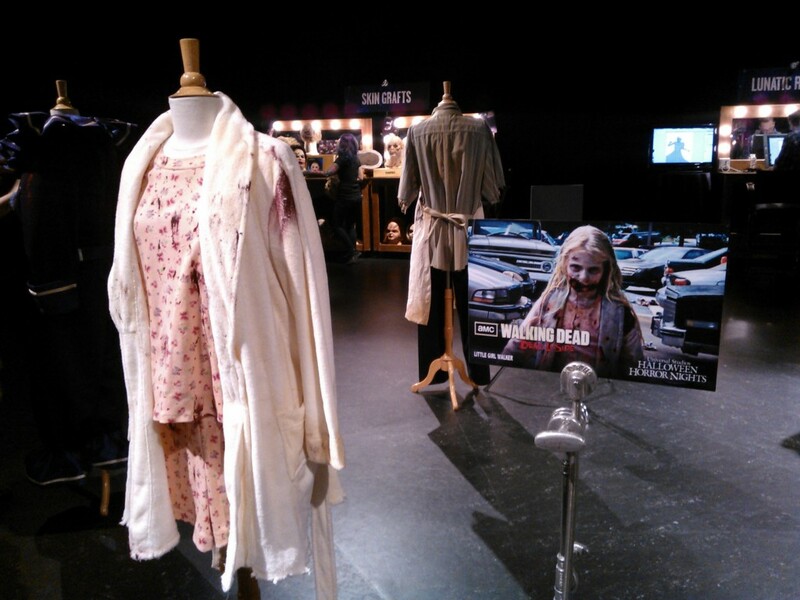 On display were masks, prosthetics, make-up artists, concept artists, and wardrobe from upcoming scare zones and mazes and so much more! 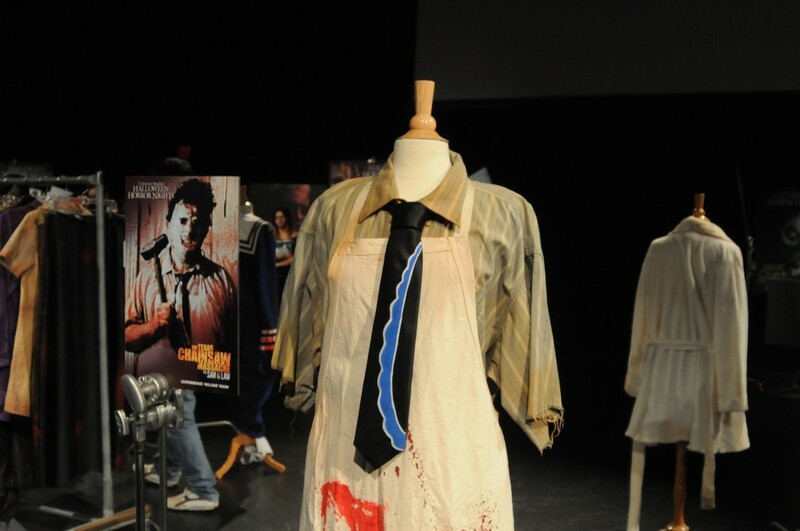 So join us while we take you behind the scenes of HHN 2012. The event started off with an introduction by Creative Director John Murdy (video coming soon), he spoke about what sort of challenges his team faced this year and how he felt this year’s event would out-shine them all. 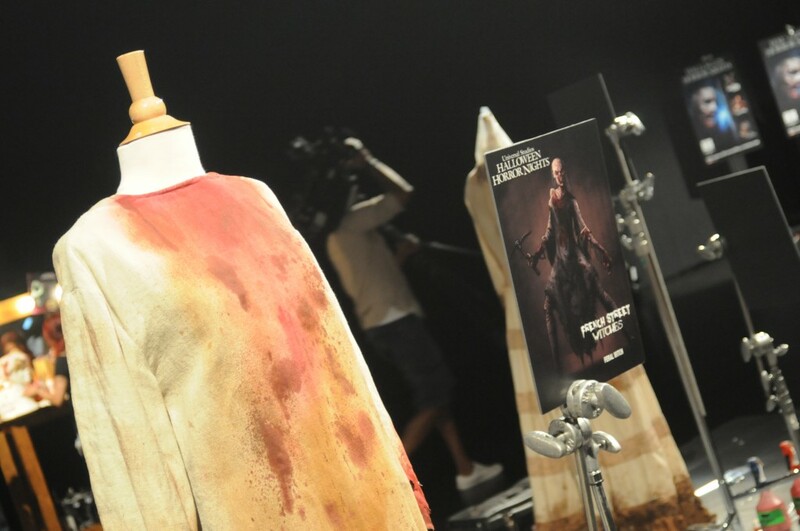 He also mentioned working closely with Konami Entertainment on the Welcome to Silent Hill maze as well as working with Executive Producer Greg Nicatero on The Walking Dead: Dead Inside as well as on Terror Tram which he revealed some back story to. 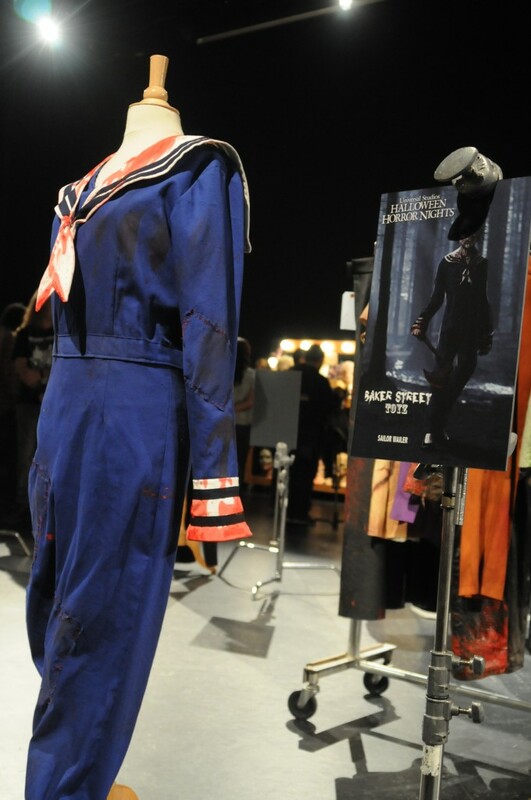 The press was then let into the theater and shown a large array of never before seen costumes from this year’s event. We also were able to watch several of the make up demonstrations, and got to see exactly what is going to go into making up literally thousands of people every night. 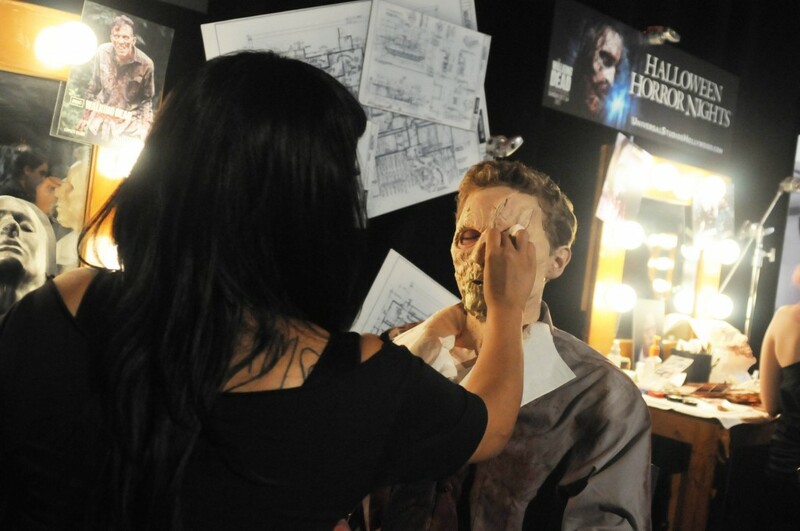 We were able to talk to one of the Extreme Make Up artists, Larry Bone, about just what kind of challenges they faced and will continue to face when it comes to an event like this year’s Halloween Horror Nights that is going to be so make up and effects heavy. 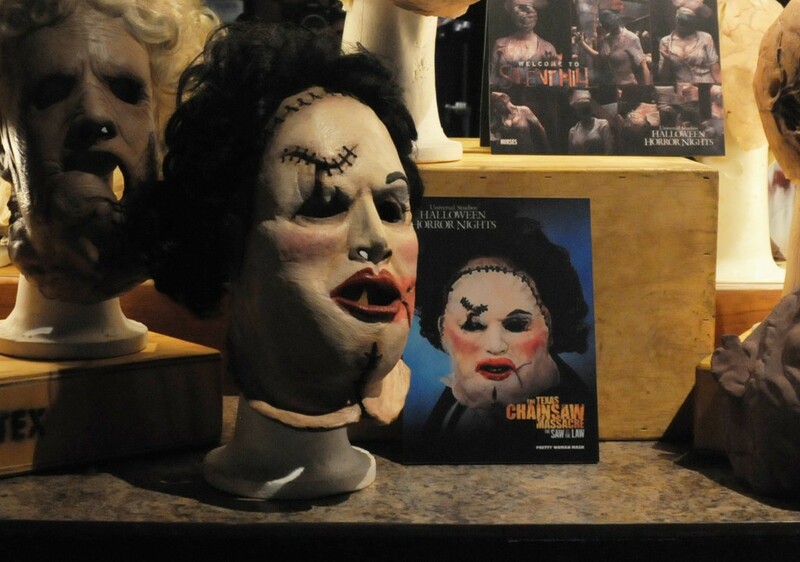 John Murdy is the Creative Director of Halloween Horror Nights, and he works on it with Art Director Chris Williams. 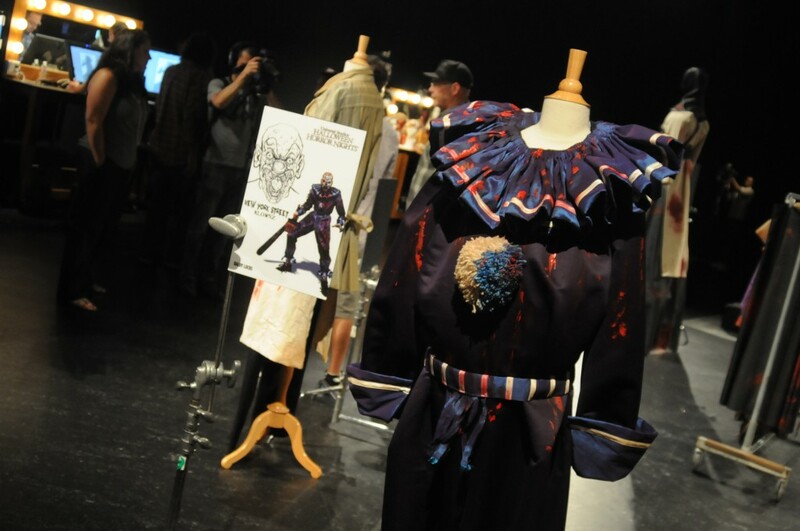 The team brought Halloween Horror Nights back to Hollywood in 2006 after a five year hiatus. When the team brought it back, they had to start entirely form scratch. 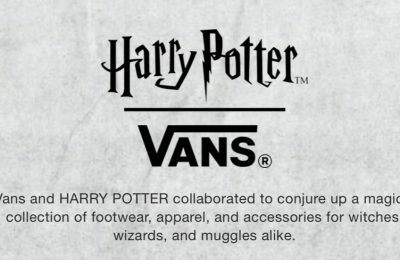 They brought the event back, and brought it to a whole new level. They work with that same mentality every year. They treat each year like 2006, and forget the praise they receive the previous years, and start each year from scratch with the hunger to bring something to audiences that they have never seen before. We also were able to steal John Murdy away for a few minutes and talk about all the great properties coming to Halloween Horror Nights Hollywood. 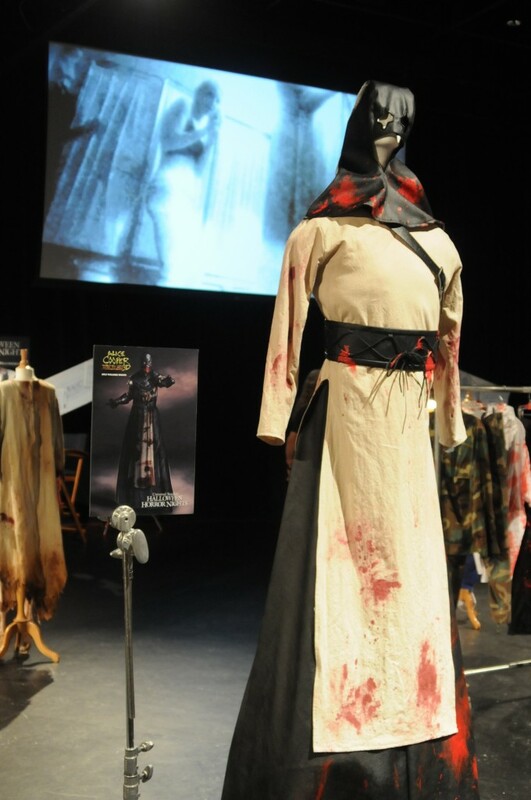 We got our first real looks at what Halloween Horror Nights – Hollywood 2012 will have in store, and we cannot wait to bring it all to you! 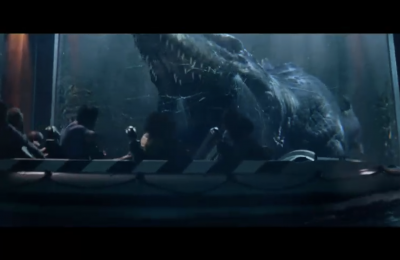 For more information on Halloween Horror Nights at Universal Studios Hollywood, visit the official website! 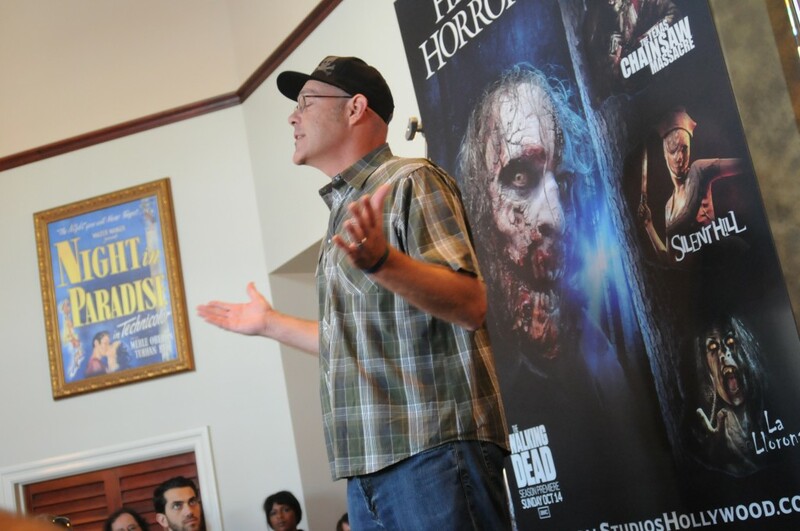 Make sure you also follow John Murdy on Twitter, for more HHN tidbits, information and fun.